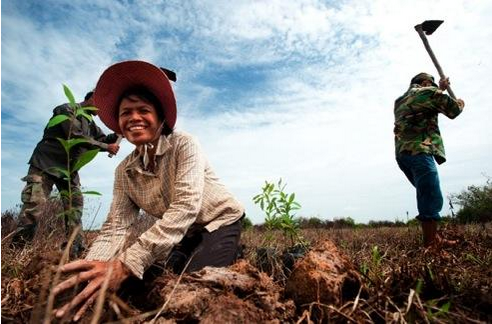 It’s time to start talking dirt as we enter the United Nations’ International Year of Soils! Soil is the natural resource responsible for providing the vital nutrients our crops need to grow strong, healthy and abundant, yet its health has been overlooked in the global food security debate. 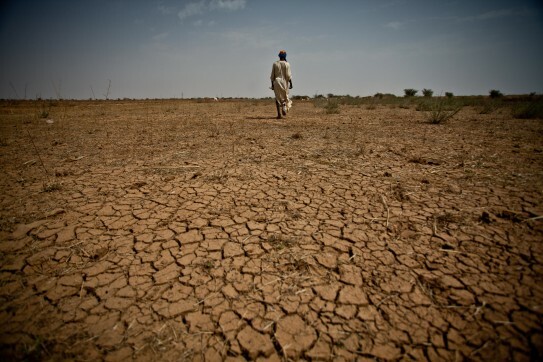 Currently, nearly one-third of the earth’s land area is degraded, affecting an estimated 3.2 billion people who rely on this land for their food and livelihoods. In the next installment of our “content mash-up” series – we bring you stories from Farming First supporters who are rising to the challenge to make soil healthier for future generations. 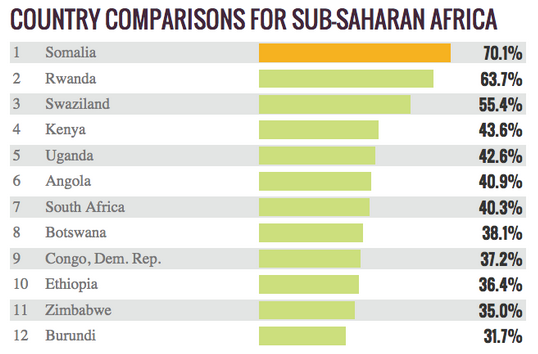 In sub-Saharan Africa, an estimated 65 per cent of arable land is degraded. Urbanisation, climate change, population pressures and inadequate farming techniques are leading to a continuous decline in the health of African soils, whilst the economic loss is estimated at USD 68 billion per year. However, better land management practices could deliver up to USD 1.4 trillion globally in increased crop production – 35 times the losses. 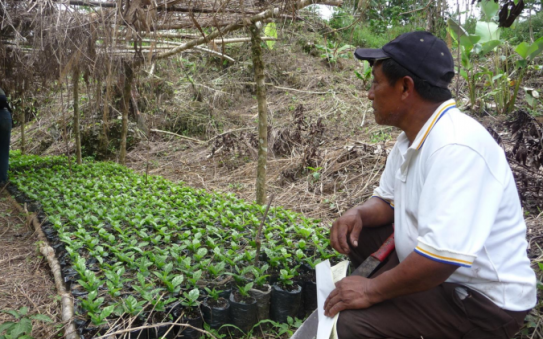 In Tziscao, in the southern Mexican state of Chiapas, farmers cultivating speciality-grade Arabica coffee beans for the international market use organic and agroforestry methods to keep their soil healthy. Among the coffee trees, banana and cedar trees are also planted, along with trees that periodically shed their leaves, leaving a mulch rich in nutrients that literally feeds the earth. One way to ensure farmers keep their soils productive and healthy for growing a bumper crop – is to deliver fertilizer and training on producing and applying organic compost – directly to them. One Acre Fund delivers quality farm inputs and training to small groups of farmers rather than individuals, and most of these groups live well off the beaten track, some along roads that become impassable during the rainy season. FMNR means helping naturally-occurring trees to return to the landscape to help to keep the soil from washing away, to shade crops and to help the land to hold water, thus improving resilience among farmers. Although deforestation has left land in Mali barren, sprouts left over from felled trees are still able to grow again. 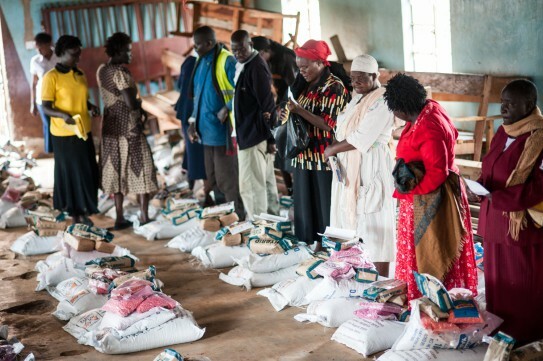 After training from World Vision, communities began to realise that their food insecurity is not only linked to lack of rain but to the way they are managing their cropland. 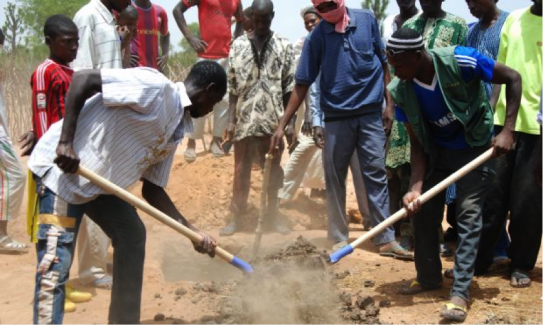 The 16 communities in this project in Mali are also learning about soil improvement practices such as the use of compost. Mary Banda, from Mabwera village in southern Malawi has been trained to multiply certified seeds for local farmers. 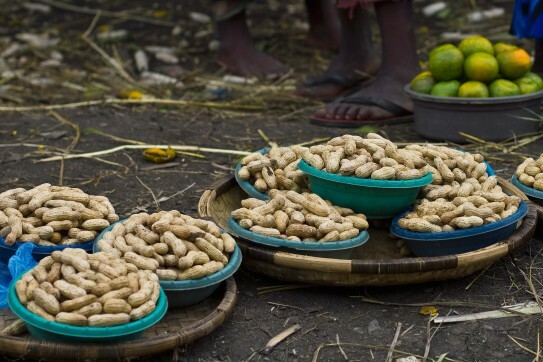 But her role as a model farmer also means she advises farmers on soil management techniques such as the use of manure and composting crop residues, as well as encouraging farmers to rotate groundnut with their maize plants. 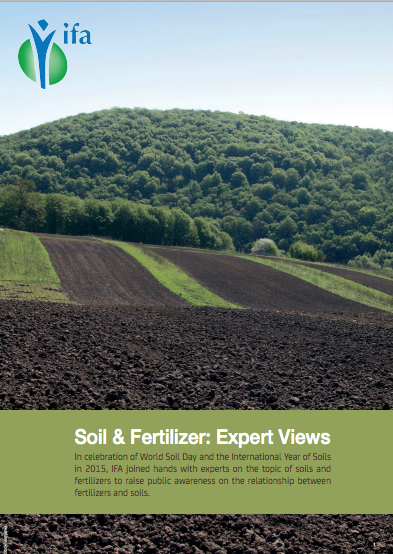 In celebration of World Soil Day and the International Year of Soils in 2015, IFA teamed up with experts on the topic of soils and fertilizers to raise public awareness on the relationship between fertilizers and soils. 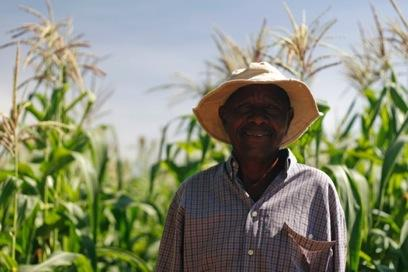 CNFA is leading a consortium to increase productivity, improve drought resilience and adaptation, and enhance nutrition care practices in Matabeleland North and South, Zimbabwe, as part of the five year USAID Food for Peace program Amalima. Currently, Amalima field officers are introducing conservation agriculture techniques to program beneficiaries, by training lead farmers who each commit to train a minimum of 10 other conservation agriculture farmers from within their group. The CATALIST project, run by the International Fertilizer Development Center enabled over 250,000 farmers to increase their crop production and incomes through an integrated approach combining sustainable agricultural intensification technologies including integrated soil fertility management (ISFM) with farm-to-market linkages, agroforestry and infrastructure construction. Irene Chemutai lives in Litein in the Rift Valley region in Kenya. Like many small-scale farmers in her neighbourhood, Irene did not have enough land to feed their animals and were forced to graze them on her land, which took a toll on the health of these soils. From a Juhudi Kilimo training seminar, Irene learnt about zero grazing as system of keeping livestock that has benefited many farmers. Zero grazing involves cutting grass and feeding it to cows in a dedicated shelter structure. Having successfully applied for a loan from Juhudi Kilimo and securing KES. 150,000 from the institution, she decided to construct a zero grazing shelter for her three cows to improve her yield. Zero grazing allows Irene to control grazing on her farm and produce organic fertilizer for her crops and pasture. 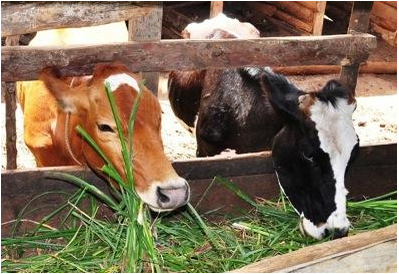 Additionally, it avoids overgrazing and maintains adequate soil coverage in her farm. This she says is the best choice for many small-scale farmers who do not have enough land to keep their animals and are forced to use less environmentally friendly methods. Large-scale economic encroachment had left the soils of Chrand Krahorn in the Kampong Thom province of Cambodia barren and degraded. In July 2013, 99 volunteers from the community planted seedlings to replenish this area and rejuvenate the soils. Farmers that belong to the Gumutindo Coffee Cooperative in Uganda, based in the upland valleys of Mount Elgon, have been struggling to keep their soils healthy, as increasingly heavy downpours have caused soil erosion and led to devastating landslides; in March 2010 one claimed the lives of 300 people. With the increased availability of herbicide-tolerant crops farmers are adopting no-till techniques (or conservation agriculture) at a dramatic rate. Between 1999 and 2009, the agricultural area under no-till grew from 45 million to 111 million hectares. The infographic below, put together by CropLife, shows the breakdown of where those hectares are today. 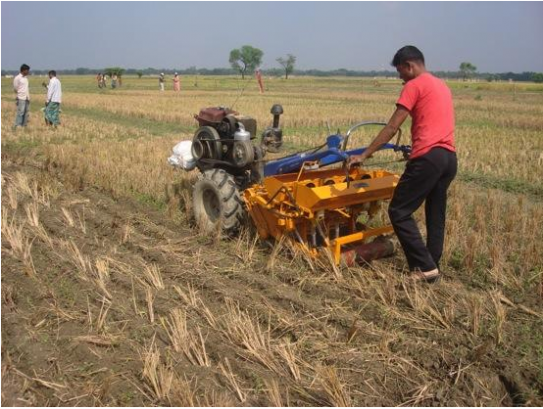 In a bid to spread conservation agriculture techniques, that involve minimal soil disturbance for placing seed and fertilizer, iDE in Bangladesh has been working to link farmers with extension officers, NGOs and machinery manufacturers, to enable the commercialisation of a versatile multi crop planter. 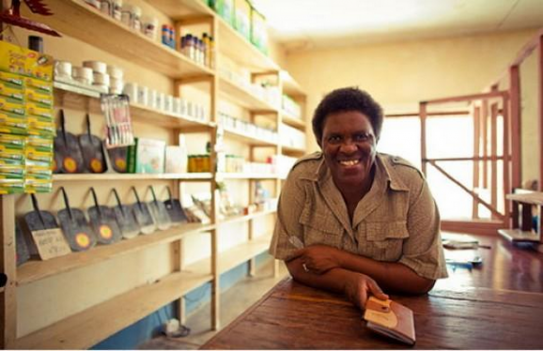 Just south of Lake Malawi, Flora Kahumbe runs a busy shop called CashPro by Monkey Bay. Her shelves are full of everything local farmers could need to make their crops grow strong, including fertiliser. In 2012, 14,098 agro-dealers like Flora were trained by the Alliance for Green Revolution in Africa in the best ways of using the right types of fertiliser, so she can pass on this knowledge when she sells her products to farmers. This year, the International Food Policy Research Institute launched an innovative online tool that can model the impacts that eleven technologies will have on global crop yields. No-till agriculture emerged as one of the technologies with the highest potential.